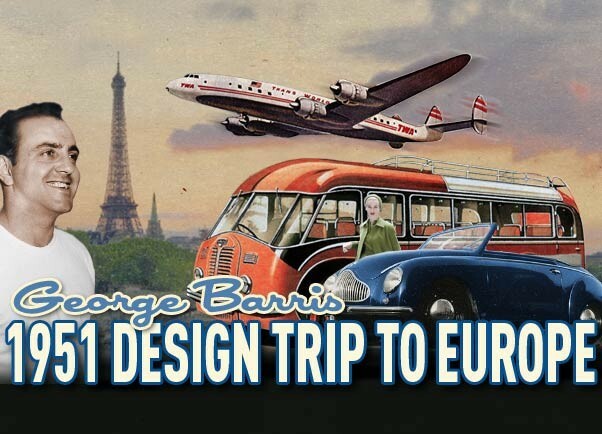 In August 1951 George Barris went on an important trip to Europe. 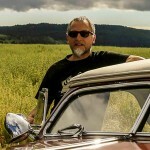 He set out to study the European Body Shops and get new inspiration to create more and better Barris Kustom Creations. In the late 1940’s and early 1950’s styling from Europe was BIG in the US. European cars were featured in the US Car Magazine as Road & Track Hop Up and many others. Especially the Sports Cars and hand Coachbuild special cars styling was really popular, and more an more of these cars were imported from Europe to the US. 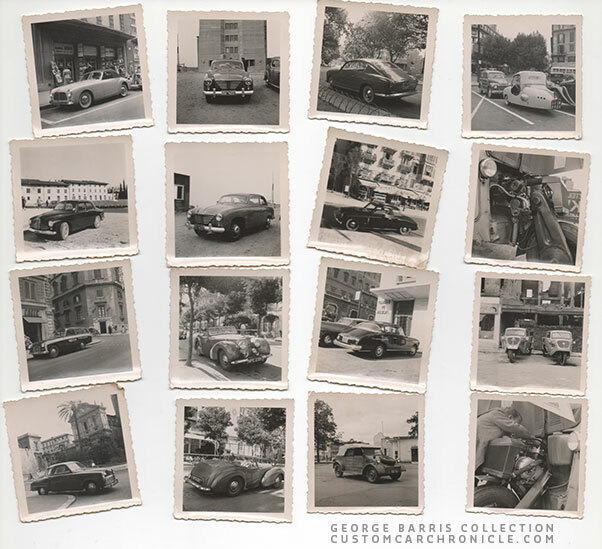 Both George and Sam Barris were very inspired by this new trend, and they studied every car magazine and brochure they could get their hand on. 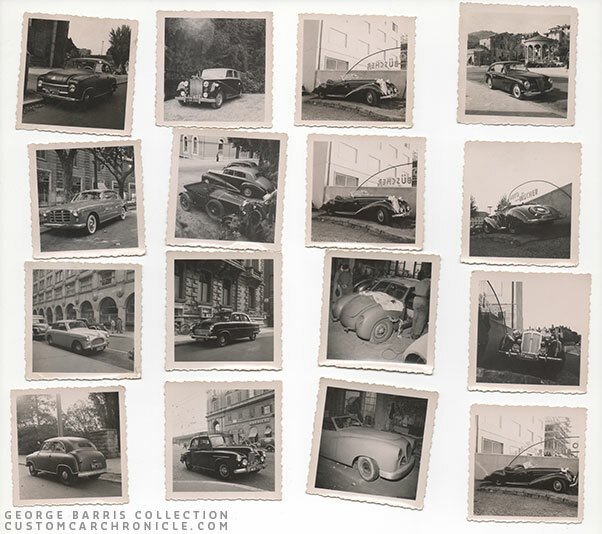 Each new Custom Car design the Barris Shop was working on was first discussed between the brothers Sam and George. And we know that especially Sam was a huge fan of the clean lines of the Italian cars from the late 1940’s and early 1950’s. Clean simple lines all flowing together. When George and Sam’s stepmother decided to go on a trip to Greece to visit her family and she invited the Barris brothers to join her to Europe. Sam already had a young family and back then, so it would be hard for him to make the trip. 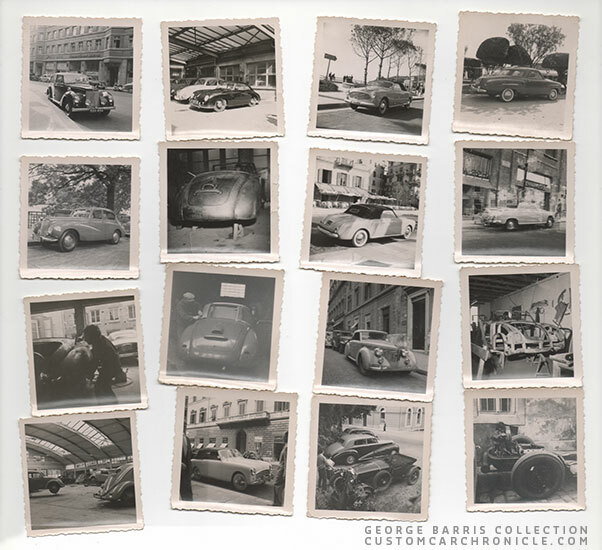 So it was decided George would join her, and spend his time in Europe to study car design from the better known European Caochbuilders, as well as everything he saw on the streets of Italy, Germany and France. George took many snapshots during this trip, and fortunately these have been saved. I came across them when I visited the Barris Shop in 2010, and was amazed these had never been used in any publication before. 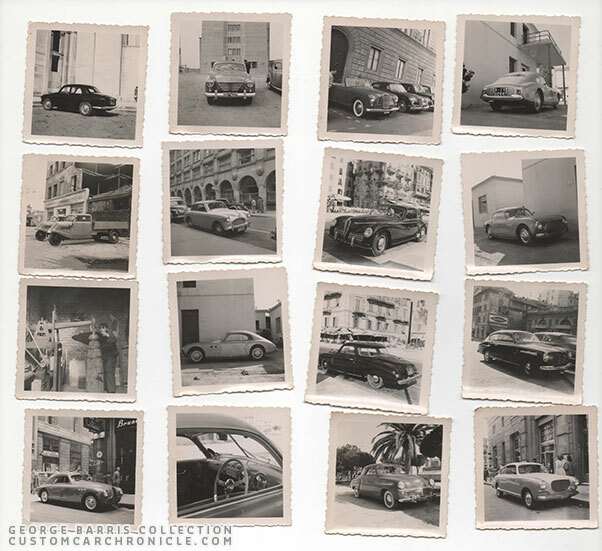 Especially knowing how important these European cars had been to Sam as well as George, and who knows how much this Europe trip has influenced the designs of the Kustoms created after George returned to LA in Late Oktober 1951. 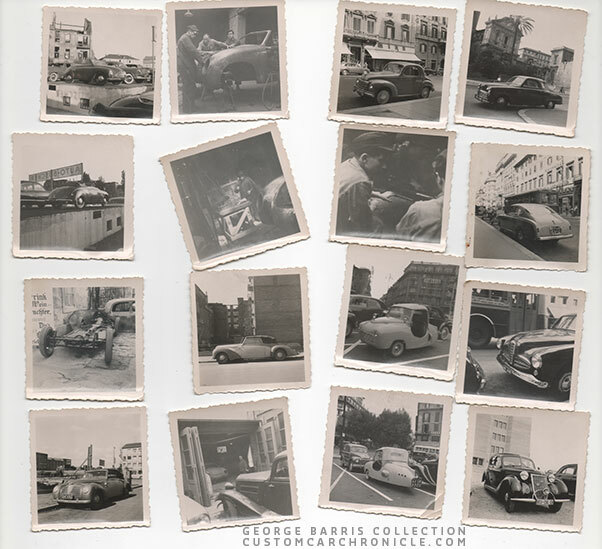 We have created four articles highlighting some of these unique snapshots taken by George Barris in 1951 in Europe, the links to each article are at the end of this intro article. 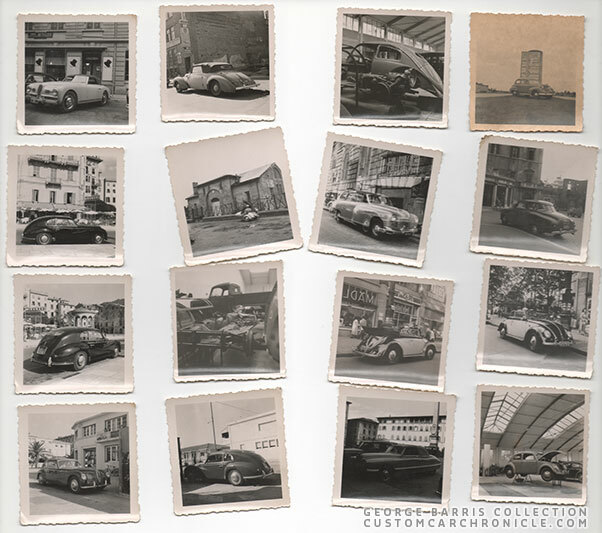 The snapshots shown here are most of the photos George took. 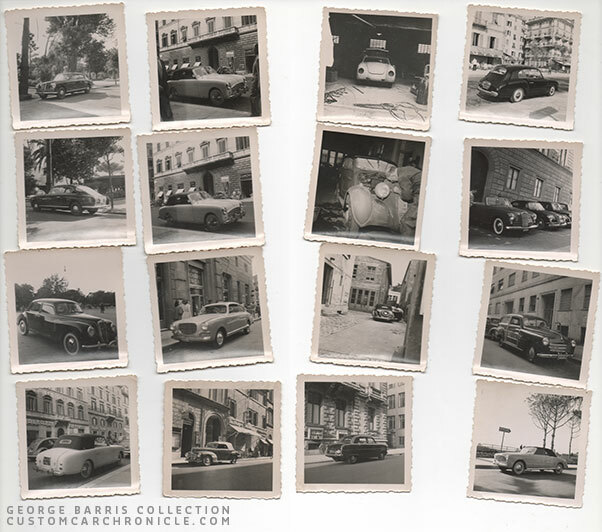 Special thanks to Brett Barris who let us share these, and who scanned a large portion of these snapshot. Thank you Brett.